It’s National Zoo Keeper Week and we’re sharing the love! To recognize the dedication and hard work of our amazing zookeepers, we are posting an interview of a keeper each day this week. You should flock to watch this one- today’s the sixth individual, and it’s penguin keeper Amy Bowden! 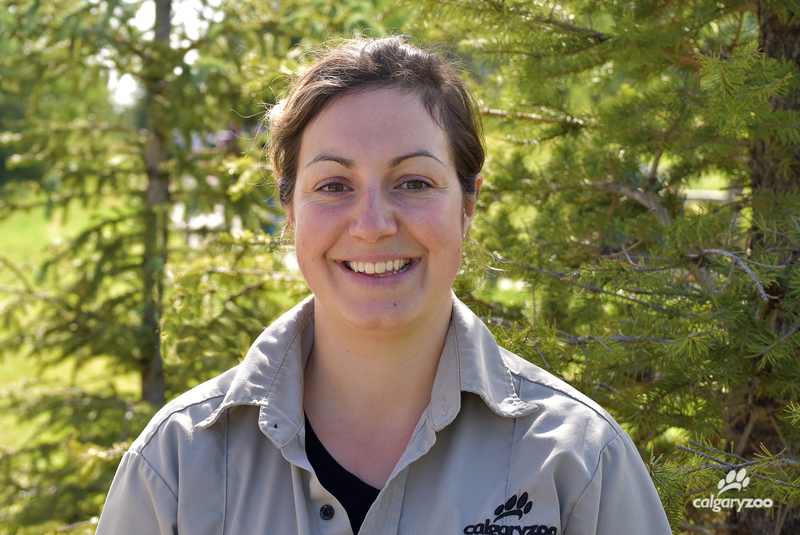 From working at her local zoo in the UK to starting at the Calgary Zoo in 2016, Amy is a welcome addition to our fantastic Animal Care team. 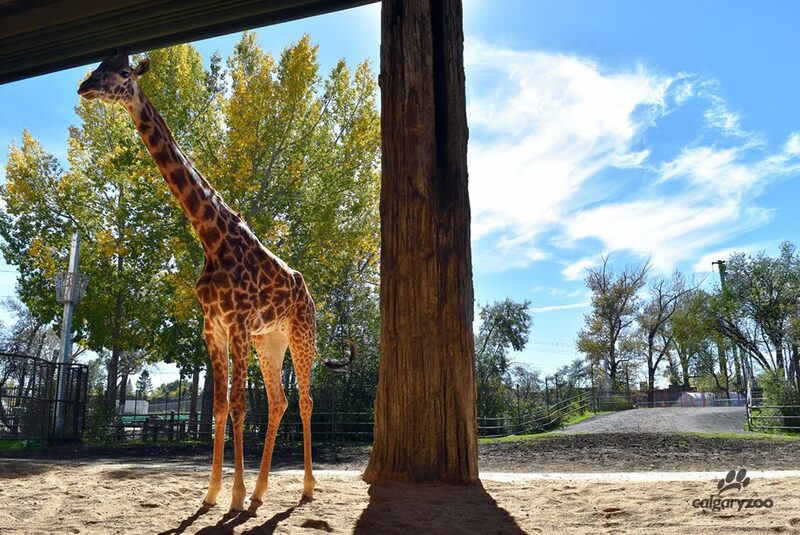 Emara arrived at the Calgary Zoo this past September as part of the SSP. A: “One of my most positive experiences, and the most rewarding, was working with our new female Masai Giraffe, Emara. When she first came to the Calgary from San Diego Safari Park she was put into quarantine- animals have to do this when moving between zoos. We needed her to come into our giraffe chute and have blood taken before she could be introduced to our other giraffes, but we wanted to do this in the least stressful way possible, which would be by her own choosing. She needed to trust us enough to walk in on her own. We started getting her used to coming over to take food out of our hands, and then slowly working towards walking into the chute. It was a slow but steady process, but gained confidence while being around us and being in the chute, as it meant yummy rewards (giraffe friendly cookies)! So after a lot of preparation the day with the vets arrived and Emara needed to enter the chute. She did- and she was such a star!